We will leave the ship and drive to BIFF Square. Having been reconstructed as a cultural tourist attraction promoting Korea’s film industry, BIFF Square has contributed to Busan’s new-found status as an international cultural tourist city. It is next to Taejongdae Park. It is a national park boasting magnificent cliffs overlooking the open sea. It is said that its name came from King Taejong Muyeol (604 - 661), the 29th king of the Silla Kingdom, who liked to practise archery. 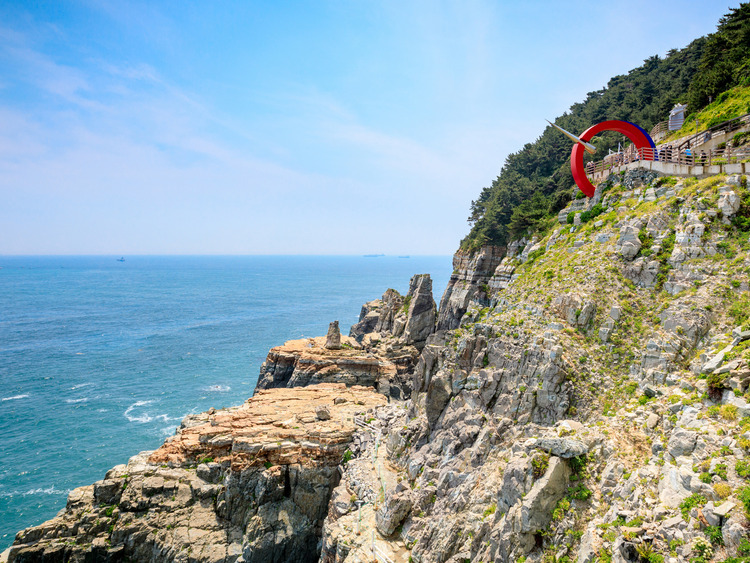 Taejongdae is designated one of the 28 monuments in Busan, along with Oryukdo Island. Then we will drive to the National Maritime Museum exhibitions, covering all aspects of marine and ocean life. These include the culture, history, famous figures in the industry, maritime vessels, ocean creatures, ocean life experience, maritime industry, marine territory and development and ocean science. It is, by far, one of the top maritime museums in Korea. The museum holds over 14,000 historic items and relics that have witnessed the history and are relevant to the future of ocean life. These are on display in the eight different permanent exhibition halls, the special exhibition hall and the children's exhibition hall. The museum also has a library, aquarium, grand auditorium, outdoor performance stage, and a 4D theatre offering a multicultural experience to visitors.